The plant life at Bullough’s Pond is remarkably diverse and beautiful. From the iconic weeping willow tree at the northeast corner of the pond to the cattails and yellow flag irises that ring the water’s edge, scores of plant species have been recorded and many more have probably not been recorded. 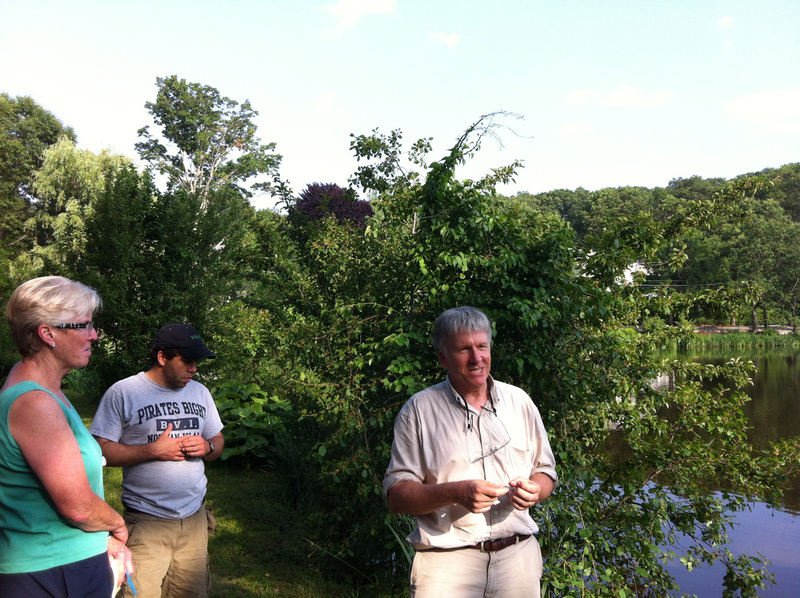 Bullough’s Pond was born when a man named John Spring built a dam across Smelt Brook in 1664 to power a grist mill. As a mill pond, Bullough’s Pond has always been shaped by the hand of man, and the plant life around and in the pond reflects human influence. 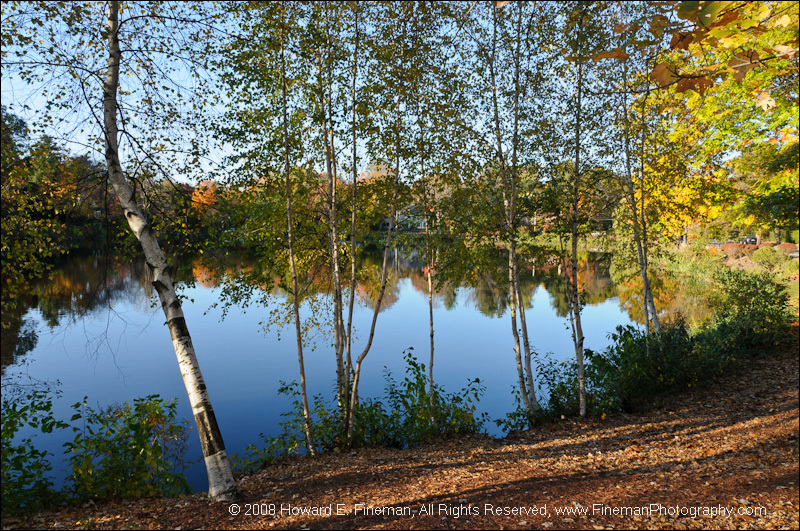 The plant species at the pond are a mixture of native plants, as well as non-native and invasive plants that have found their way into New England from oftentimes distant lands. Around the perimeter are garden and landscaping species planted purposefully, and with good intentions, by people in Newton and by the City of Newton. 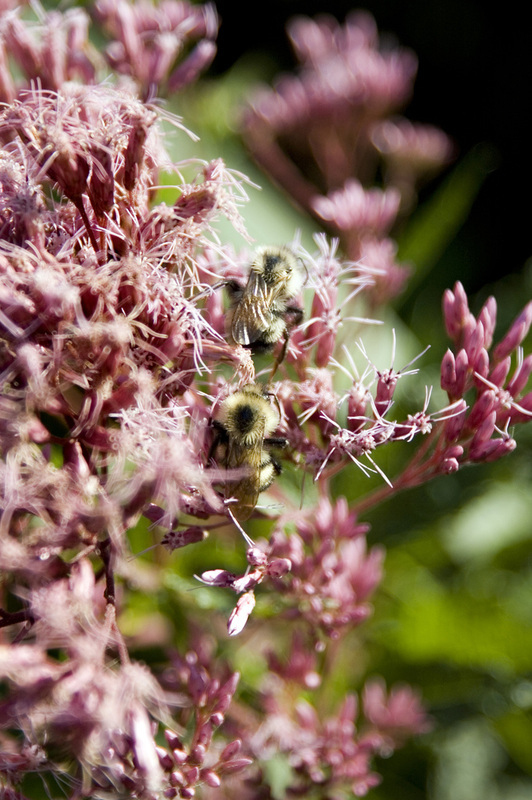 All of these plant species co-exist, though not necessarily in a healthy balance. For example, in addition to the non-native, but beloved, weeping willow, some of the trees found on the banks of Bullough's Pond include white birch, black locust, green ash, wild crabapple and oak. However, invasive vines like bittersweet and winter creeper are a major threat as they smother and kill trees around the pond. Invasive wetland plants like orange jewelweed, purple loosestrife and especially the yellow flag irises are very pretty, but crowd out native wetland plants like cattails and Joe-pie-weed. They also impede waterflow, and have a very negative impact on biodiversity. 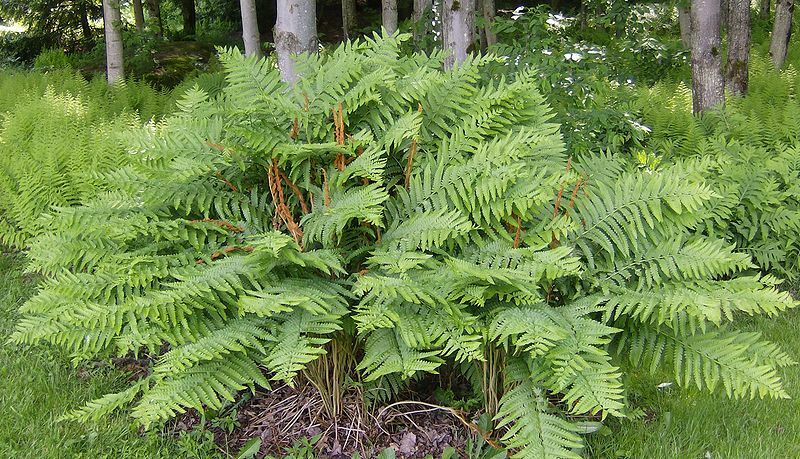 Similarly, along the banks of the pond, helpful native plants like interrupted fern, cinnamon fern and turtlehead are displaced by aggressive, invasives like Japanese knotweed, bull clover, buckthorn and multiflora rose. The paths along the roads on the north and east sides of the pond are hedged with an assortment of non-harmful invasives like rosa rugosa, and landscaping plants like fairy roses. 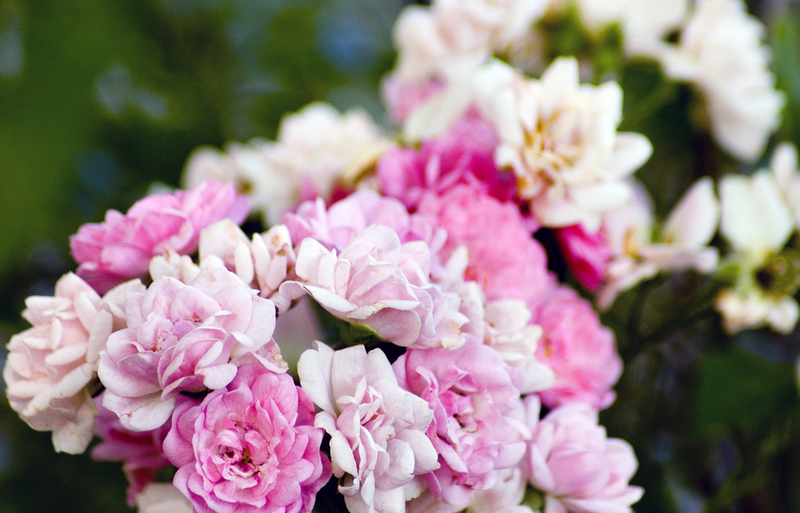 Fairy Roses. Photo by Hayley, Abandonnship, Flickr. Rosa Rugosa. Photo by Dan Levenson, ©2013. 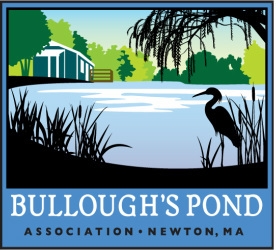 The Bullough’s Pond Association is committed to consulting with experts in wetland species management and controlling the spread of destructive, invasive species. 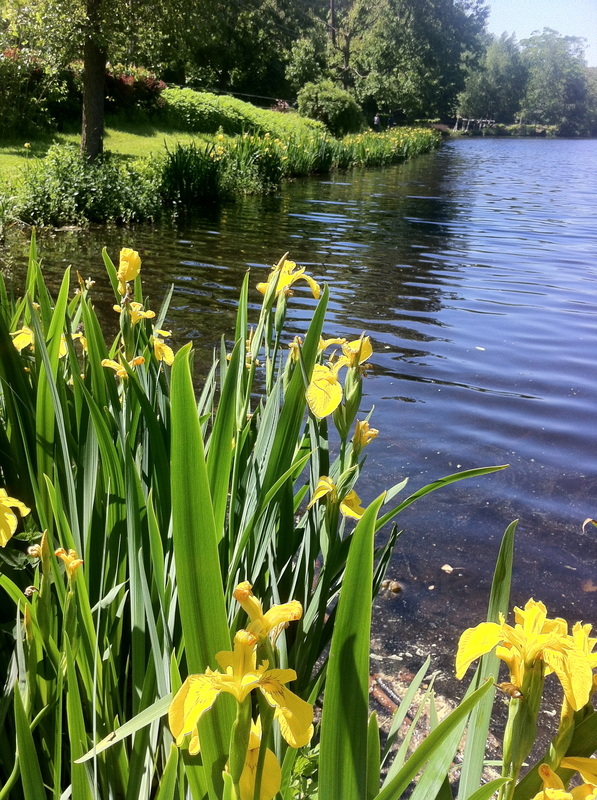 The Association welcomes all volunteers willing to help record and photograph the plant species present at the pond, as well as those willing to assist with the removal of invasive plants, under the guidance of approved experts. 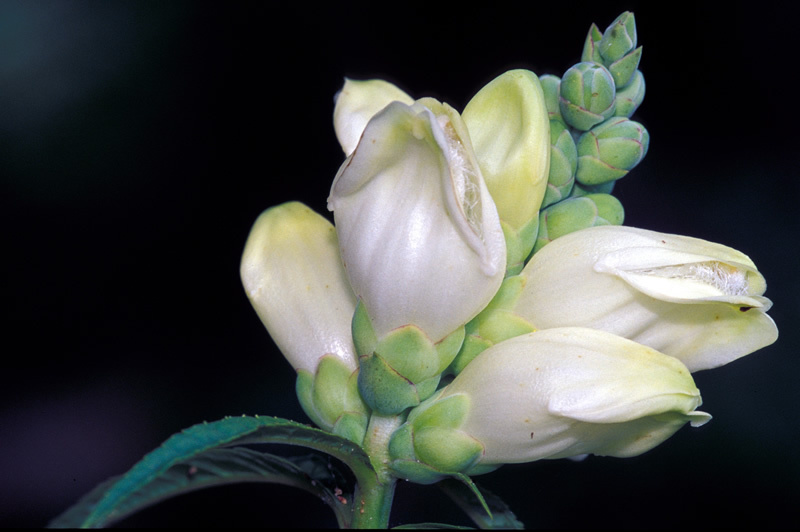 If you see a plant species that's not in our inventory, we'd be grateful if you'd kindly contact us with the plant name, the date and the approximate location in or around the pond where it was seen. Thank you!